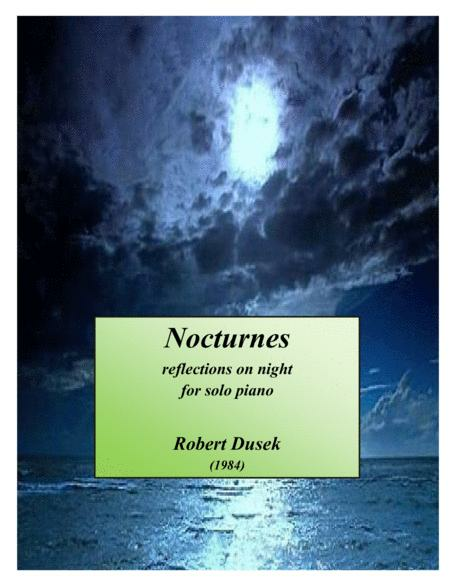 Composed by Robert Dusek. 21st Century, Contemporary Classical, Repertoire, Recital. 13 pages. Published by DaCapo, LLC (S0.207619). Nocturnes are a set of four short fantasies on various reflections of night. The entire work is recorded on the CRS label.